We offer our precious clients the premium grade of EDTA Liquid. 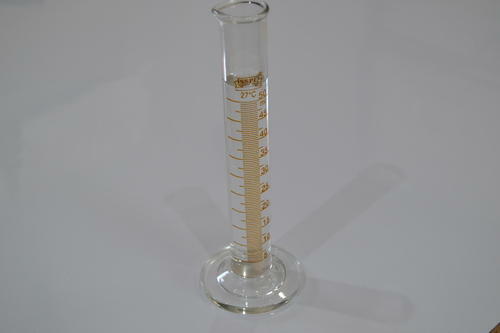 Our offered liquid is widely used to treat plants and water treatment. In synchronization with the predefined industry standards, this liquid is well processed under the direction of our adept professionals using quality approved chemical compounds and ultra-modern processing technology. The provided liquid is broadly demanded by our clients for its remarkable features such as accurate composition and excellent effectiveness. We are Manufacturer, Supplier and Exporter of Ethylene Diamine Tetra Acetic Acid (EDTA), EDTA Salts, Nitrilo Tri Acetic acid (NTA), NTA Salts and Sodium Monochloro Acetate. Shiv Chem Industries is a partnership firm, establishes in 1987. It is registered under small scale industries (SSI Unit) and Micro, Small and medium enterprises (MSME). It is located at Naroda G.I.D.C Ahmedabad. We are one of the largest E.D.T.A. Acid (CAS no. 60-00-4) Manufacturer in INDIA.